Michael Gordon is president of Fenway Sports Group. It happened quietly, like most things in Michael Gordon’s career. Last summer, he was named president of Fenway Sports Group. Sometime later, he was listed above Red Sox CEO/president Larry Lucchino in the front office directory on the team’s website. That’s all it took. Speculation that the ball club was in transition put Gordon — a Sox limited partner since early 2002, shortly after John Henry’s acquisition of the team — at the center of a perceived power struggle in which the roles of Lucchino and possibly club chairman Tom Werner were in question. Henry, Werner, and Lucchino promptly dismissed the notion, saying Gordon’s expanding portfolio is merely a continuation of the collegial, collaborative relationship they’ve enjoyed with him for more than a dozen years. The masthead was changed, with Lucchino returned to his original status. It’s the latest chapter for Gordon, whose baseball trajectory has taken him from selling popcorn for Bud Selig’s Brewers at Milwaukee’s County Stadium to owning the second-largest stake in the Red Sox. The team president said his role has not diminished since Michael Gordon gained a bigger stake in the franchise. Read: Shaughnessy: Are Red Sox shifting away from Lucchino? The ties between the Selig and Gordon families reach back more than half a century. Selig is close friends with Gordon’s mother; Gordon is close enough to Selig’s daughter, Wendy Selig-Prieb, that the families muse that Gordon’s decision to attend Tufts was influenced by Wendy’s enrollment there. The relationship between Selig and Gordon remained intact through Gordon’s career in finance. Gordon worked as Jeffrey Vinik’s right-hand man in running Fidelity’s Magellan Fund from 1992-96, beginning a partnership of more than two decades during which Vinik estimated, half-jokingly, that he’s spent more time with Gordon than his wife. It was at Fidelity that Gordon impressed his boss with a combination of hard work, devoted research, common sense, and an ability to work with people that permitted him to identify good investment opportunities. Gordon and Vinik left Fidelity in 1996 to co-found a hedge fund, Vinik Asset Management. When Henry (who also owns the Globe) and Werner sought partners with local ties as they took over the Red Sox, Selig encouraged them to meet Gordon. To Henry and Werner, Gordon and Vinik were Boston-based investors who wanted to be connected to the Red Sox because of something other than dividends. To Gordon and Vinik, the opportunity to buy into a historic franchise was less about ambition than fantasy. “We saw incredible potential in [Henry], with his high IQ and track record of success,” said Vinik. “I think we both thought it would be, frankly, a fun adventure to go on. Henry once described Gordon as the most private of all of the Red Sox partners in Fenway Sports Group, the umbrella organization that owns the Red Sox, NESN, Liverpool Football Club, Roush Fenway Racing, and Fenway Sports Management. True to that portrayal, Gordon, 50, declined to be interviewed for this story. Gordon’s role in the Red Sox ownership group remained limited — financially and functionally — until the New York Times Co. sold the last of its 17.5 percent share in the team in 2012. Gordon’s ownership stake, which started at roughly 2 percent, grew to an estimated 12 percent, the second-largest slice after Henry (about 40 percent) and ahead of Werner (about 10 percent), according to sources with knowledge of the ownership structure. The motivation for an expanded ownership stake was not necessarily out of a desire for a larger role in the team’s governance, sources close to Gordon said. They describe him as an enthusiast of Henry and Werner’s leadership. “He took on a larger stake because he was very confident in the direction that the business of Fenway Sports Group as a whole was going in,” said Red Sox chief operating officer Sam Kennedy. 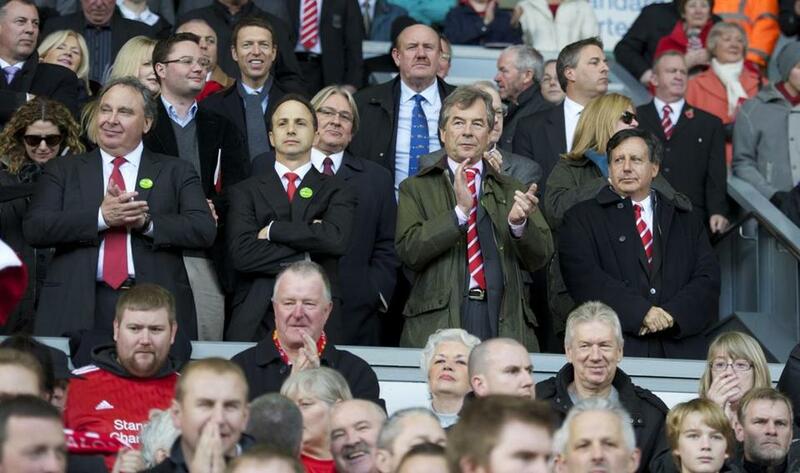 That included support for FSG’s decision to acquire the Liverpool Football Club in 2010. 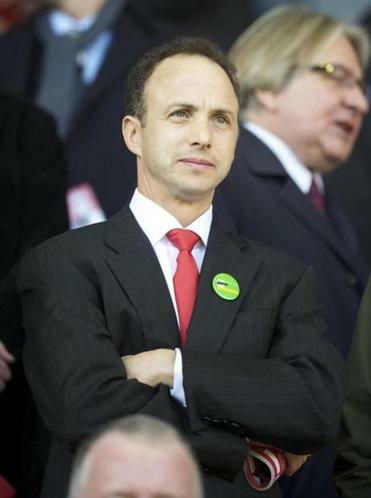 Gordon, the most soccer-savvy FSG partner, joined the Liverpool board of directors in fall 2010. About three years ago, Gordon took over daily oversight of Liverpool for FSG and started working closely with Ian Ayre, the soccer club’s equivalent of Lucchino. Liverpool finished the 2013-14 Premier League season in second place, qualifying for the prestigious Champions League for the first time in five years. On the financial front, Liverpool last week reported that the year ending May 31, 2014, yielded its first annual profits in seven years. The club’s report stated that it finished approximately 1 million pounds ($1.52 million) in the black one year after having reported losses of nearly 50 million pounds ($76.29 million). Gordon didn’t necessarily seek greater involvement with the Sox, but the team’s 2012 spiral prompted Henry, Werner, and Lucchino — mindful of his contributions in Liverpool — to include him in some long-term strategic discussions. Gordon was directly involved in negotiations with Dustin Pedroia in 2013 about a long-term deal, joining other senior team officials for a dinner with the second baseman. He was involved in the Jon Lester talks last year, and he was part of the ownership-level conversations with Henry and Werner about whether to spend $63 million to sign Cuban phenom Yoan Moncada this year. Still, his daily involvement with the Red Sox is far less than his interactions with Ayre in Liverpool. Michael Gordon (second from left), at a Liverpool game in 2010. Last June, it became evident that, given Gordon’s involvement with Liverpool, it would be beneficial for him to have a title reflecting his role. Gordon, Henry, and Werner visited the matter, then discussed it with the rest of the partners. The decision was made that the most sensible title was indeed at the FSG level: president of Fenway Sports Group. Given that FSG has a multibillion-dollar portfolio but lacks a central structure (there’s no FSG office, for instance), designating Gordon as its ranking officer fit. But Henry added that Gordon doesn’t get involved in issues that fall under Lucchino’s purview with the Sox. The Red Sox baseball operations department — indeed, all things Red Sox — runs through Lucchino. 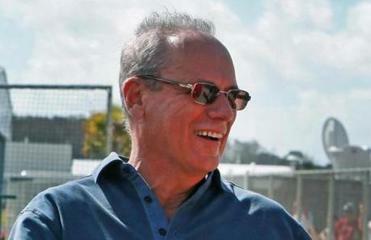 Several Sox sources made it clear that Lucchino remains the boss to whom they answer. Select baseball operations topics such as strategy and large contracts rise to the level of owners, where it’s standard practice to keep not just Lucchino but also Henry, Werner, and Gordon involved. Does that mean Gordon is Lucchino’s boss, along with Henry and Werner? Formally, no. According to team sources, Lucchino’s reporting relationship is still to Henry and Werner. There is a dotted line to all limited partners, including Gordon. But Kennedy clarified that he, like others with the Sox, reports directly to Lucchino, and that while Lucchino works for the FSG partnership, his reporting relationship has always been to Henry and Werner. Gordon’s ties to the league office continued after Selig’s departure in January. He has attended owners meetings over the last couple of years, and he worked with Werner and new commissioner Rob Manfred as part of the committee that studied pace of play in games. But even with Gordon’s growing involvement, there is a relevant distinction between his role and that of Henry and Werner. Moreover, whereas Henry is the team’s principal owner and Werner its chairman, Gordon doesn’t have a title in the Sox organization. By multiple accounts, he has never sought one. He sometimes takes part in meetings at Fenway, but his primary reason for visiting the ballpark is to attend games. A longtime front office staffer who regularly interacts with team owners confessed to never having met him. Henry’s position as principal owner is secure and unquestioned. If there were a power struggle, then, to whom might Gordon represent a threat? Gordon owns a larger financial stake in FSG and the Red Sox than Werner. Because of his background, Gordon sometimes gets more involved than Werner on certain financial matters, including contracts and risk assessment. But that involvement seemingly comes with Werner’s approval and without representing a threat to the Red Sox chairman. The two worked jointly on the team’s internal study of the pace-of-game issue. Rather than trying to mark territory, Werner, according to multiple team sources, asked Selig to include Gordon on MLB’s committee. “Mike has more expertise in his areas than Tom. People know that. But that doesn’t mean Tom’s position as No. 2 can be threatened,” said one team source, noting the close management bond and friendship between Henry and Werner. “John and Tom, that is the culture. I don’t think anybody looks at Mike Gordon as John, Tom, and Mike. At a time when Lucchino has acknowledged thinking about scaling back as he nears 70, could Gordon emerge as his successor as CEO/president? While Gordon is qualified to assume a more prominent role with the Sox, multiple sources contend that his preference is to work with Henry and Werner behind the scenes rather than assume a visible role or the demands of Lucchino’s around-the-clock position. “I have no knowledge whatsoever of any kind of power struggle,” said Vinik. “Mike is fantastic at working with people and including people. There is no way that he would ever aggressively compete in a power struggle. That is a view that Henry, Werner, and Lucchino also espouse: Gordon’s growing role has occurred by invitation. In including Gordon, the Red Sox owners say they are doing just that, getting him a seat at the table not by pushing someone else away from it but by bringing in another chair.